Still, Langston Oklahoma must seem a million miles away from Riverside, California, where Miller grew up and began to create the legend that surrounds her name. While her personality drew attention, Miller’s fame would have lasted for the cliched 15 minutes if she didn’t have game. She led USC to back-to-back NCAA titles in 1983-84, and was a three-time Naismith Award winner — a distinction no other college female can claim (as of 2014). In 1986, Sports Illustrated named her the best male or female player in college basketball. She scored 3,018 points for a 23.6 career scoring average, and she averaged 20.8 points, 10.6 rebounds, 3.9 assists, 3.2 steals and 2.3 blocks in 16 NCAA Tournament games. She was a two-time Final Four Most Outstanding Player and still holds the tournament records for field-goal percentage (79.4, 121-for-245) and most free throws made (91). She also was the driving force behind the US Olympic team’s big win at the 1984 Games in Los Angeles. Even after her playing career ended, Miller’s swagger created headlines. 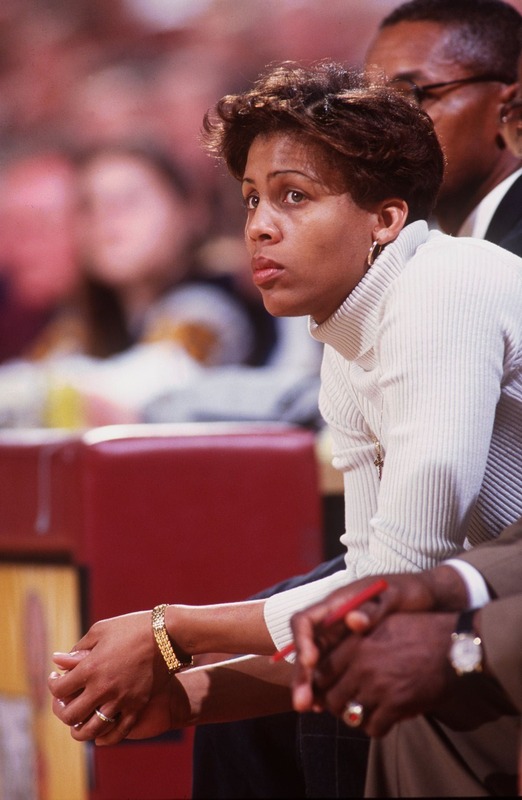 She stirred controversy in 1994 when she was hired to coach her alma mater after Marianne Stanley parted ways with USC because of a salary dispute. Stanley, who played on two national championship teams at Immaculata College in the 1970s and guided Old Dominion University to three national championships in the early 1980s, had sued USC for $8 million in back wages and benefits after she was denied a salary increase equal to that of the men’s coach. In her two years at USC, Miller did prove she could coach, leading USC to a 44-14 record and the NCAA tournament both years. Leslie came to appreciate Miller’s competitiveness, but she always wondered whether they could have won it all had Stanley still been at the helm. “I truly believe that played a huge role in our not winning a national championship,” Leslie said in 2008. Miller only coached the Women of Troy for two years. The spotlight lured her into broadcasting and a job broadcasting NBA games for with Turner Sports. 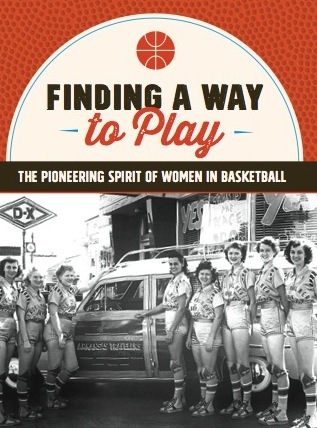 The “hot dog” of women’s basketball proved to be as comfortable with the microphone in her hands as she had been performing on the court or answering questions after a game. She was coaxed back into coaching, though, when the WNBA was formed in 1996. Needing a marquee name to help generate interest in the new league, the Phoenix Mercury named her its first head coach. It was a move that generated lots of ticket sales but also produced success on the court. Miller took the Mercury to the playoffs in three of her four seasons – including one trip to the finals in 1998. Miller was a lively, animated, trash-talking coach, pegged with more technical fouls than most of her colleagues in the fledgling league. She also took to the floor and showed her dance moves with the Mercury’s dance team from time to time – to the delight of the Phoenix fans. In 2000, Miller shifted gears again and joined the NBA on TNT broadcast team where she showcased her interviewing and commentary skills for a national audience for the next 13 years. It’s a role she relished all the more because her brother Reggie, who joined her as a member of the Naismith Basketball Hall of Fame in 2012, was also a member of the NBA on TNT team. Langston has 10 players returning from a team that was 20-13 and lost in the first round of the NAIA Division I tournament to the eventual champion, Oklahoma City. If Miller can take the Lady Lions all the way, perhaps her stay on this small stage will be a short one. Perhaps she’ll break through that glass wall and find — at the age of 50 — that the road back to a big time coaching job is open again. But whether it becomes a stepping stone to a bigger stage, Miller will likely be learning a lesson this year about re-inventing herself in the face of changing times and expectations. It’s a lesson that even legends sometimes have to learn.